If you have any questions, comments, or concerns please contact CONNOR at mcmillersportcenter2@gmail.com. Fill out the short range survey below and receive our monthly newsletter! Our newsletter is the easiest way to get the inside-scoop on discounts, specials, and other events at McMiller!!! We are more than willing to help and accommodate shooters with disabilities or those in need of assistance. To ensure safety, we have installed light and speaker systems to correspond with our cease fires, and if any further accommodations are needed, please don’t hesitate to ask our staff. They are more than happy to assist shooters with disabilities. We ask (if possible) to contact McMiller Sports Center ahead of time so that we may make the proper accomodations. Thank you! We now have an indoor heated 5-stand! Veterans, make sure you ask to receive your 10% discount on range time at check out!!! We have a special law enforcement range designated away from the general public for and special event use. The LE range is ONLY AVAILABLE by reservation through McMiller Sports Center and is done on a first come/first served basis. McMiller Sports Center is a premier outdoor shooting range in Eagle, Wisconsin and draws customers from all across the state and beyond. 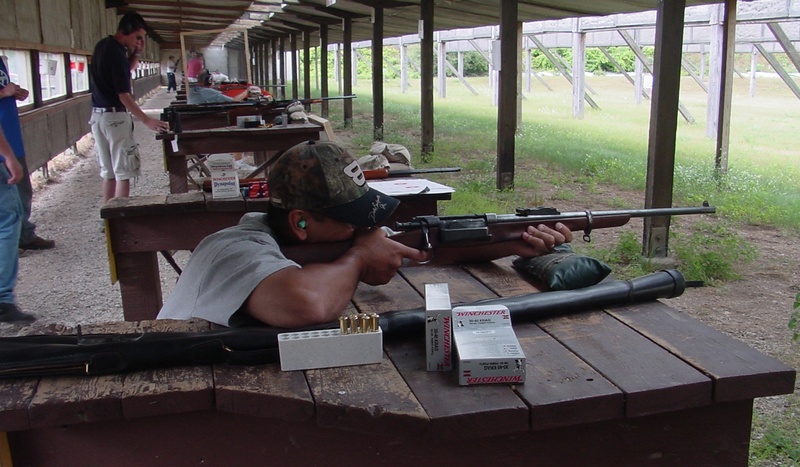 McMiller provides a safe, fun, and family friendly atmosphere for all shooters. McMiller Sports Center’s facility includes various outdoor shooting activities such as several target ranges from 6 yards all the way out to 300 yards, a Novice Trap range, heated 5-stand and a constantly changing Sporting Clays course. McMiller Sports Center is conveniently located 45 minutes WEST of Milwaukee, an hour southeast of Madison, or a short drive from Illinois. Friendly range officers ensure a constant presence of safety, while offering great insights for shooters wanting more information on shooting techniques/dynamics.